Following its successful IPO a few weeks ago, Loudon-based Malibu Boats is getting some love from a Motley Fool writer. 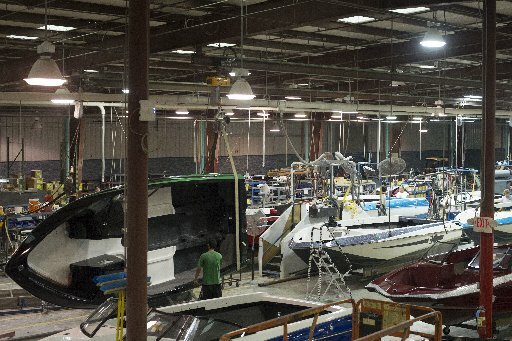 The maker of performance sports boats is in better shape than its competitors and positioned to take advantage of an improving market for power boats, Motley Fool writer Mark Lin says. Competitors Mastercraft and Brunswick, maker of Sea Ray Boats, which have manufacturing plants in Vonore, Tenn., can’t like that assessment. Malibu, which completed its IPO on Feb. 5, reported a gross profit of $11.7 million on sales of $43.9 million in the quarter ended Dec. 31. Click here for the Motley Fool report. This entry was posted in Malibu Boats and tagged Brunswick, competition, IPO, Malibu Boats, MasterCraft, Motley Fool, performance sports boat, power boatss, Sea Ray on March 20, 2014 by Roger Harris.